By combining a camera with a laser, the [NEW] IX Series can locate the position of your part, then check for correct heights, brightness, and more. 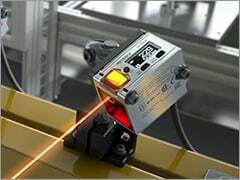 By combining a camera with a laser, the [NEW] IX Series can locate the position of your part, then check for correct heights, brightness, and more. 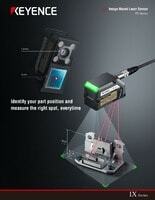 Download the brochure to learn how the IX can simplify your inspections! This portable, shop floor CMM makes diameters, bolt hole circles, hole-to-hole and true position measurements quick and easy. 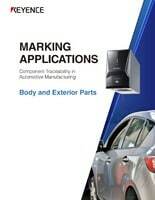 How are laser markers used to ensure traceability for the body and exterior parts of automobiles? 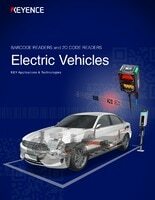 This guide explains six typical applications. 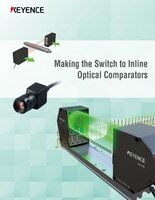 Learn how to optimize your in-line inspection using a 2D Optical Micrometer. 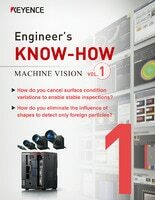 · How do you stabilize inspections in locations that contain light fluctuations? · How do you exclude image variations to enable stable inspections? These topics and more are included in these guides to master vision! 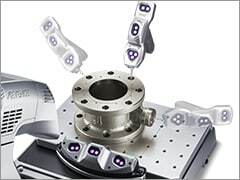 This guide details the advantages of measuring 3D shapes using our non-contact 3D measurement system and introduces examples of why customers have made the switch to the VR-5000.